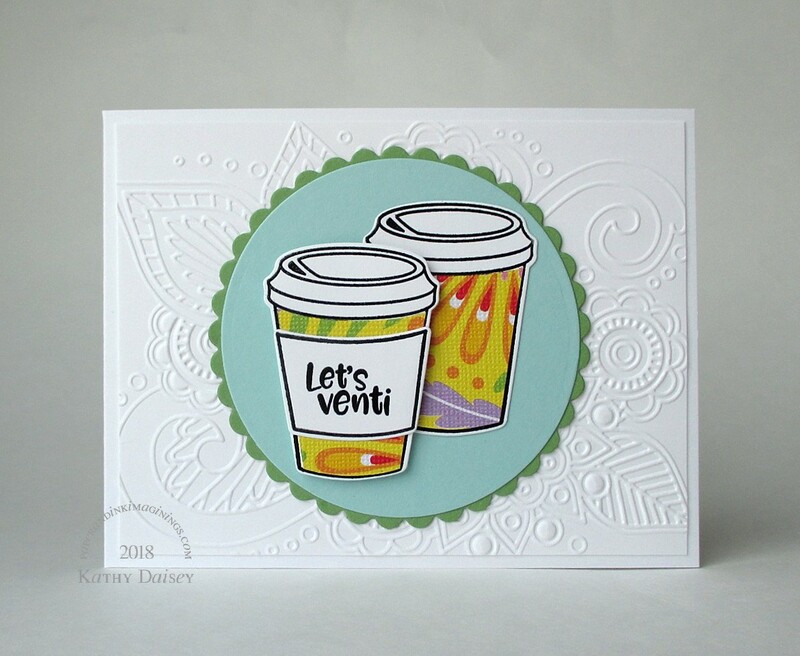 I think this Let’s Venti sentiment is wonderful! 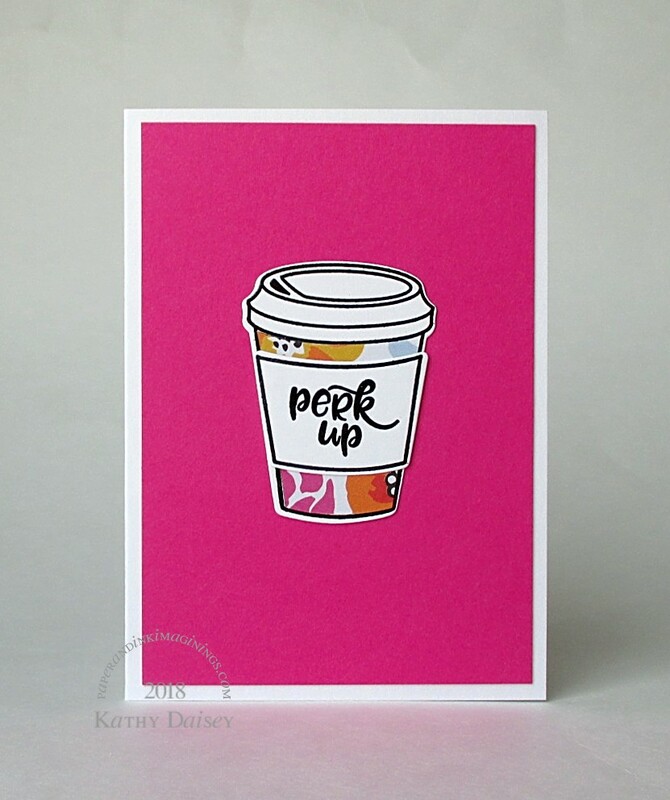 The Perk Up version is a note card. Supplies: Stamps – Avery Elle, paper – American Crafts Amy Tangerine On A Whim, Dena Designs Happy Girl, Neenah Classic Crest Solar White, Poptone Razzle Berry, Stampin’ Up! Pool Party, Wild Wasabi (retired), ink – VersaFine Onyx Black, dies – Avery Elle (cup, sleeve), Spellbinders (circles), embossing folder – Darice, embossing powder – Filigree Fine Art Powder clear. Categories: card, caring, encouragement | Tags: American Crafts, Amy Tangerine, Avery Elle, card, Neenah, On A Whim, Poptone, Spellbinders, Stampin' Up!, Tsukineko, VersaFine | Permalink.